One of the most basic human needs is to be understood and connected to others. Those who struggle with depression, anxiety, grief, emotional pain, and other mental illnesses often have the most difficult time maintaining relationships while also having a deep need for them. 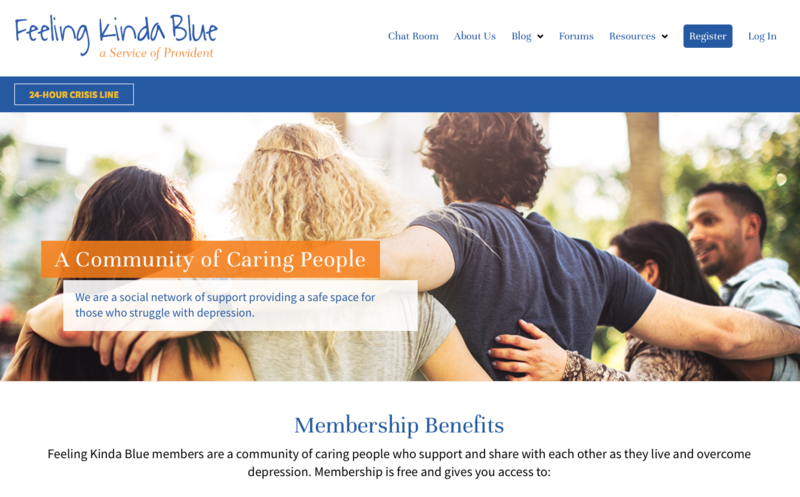 Feeling Kinda Blue is a private social networking site that provides a safe space for people to escape the isolation of depression. Monitored by Provident’s team of professionals, members can post, blog, chat, share, connect, and relate with others who understand and support them.